A unique window dressing for the modern home!! 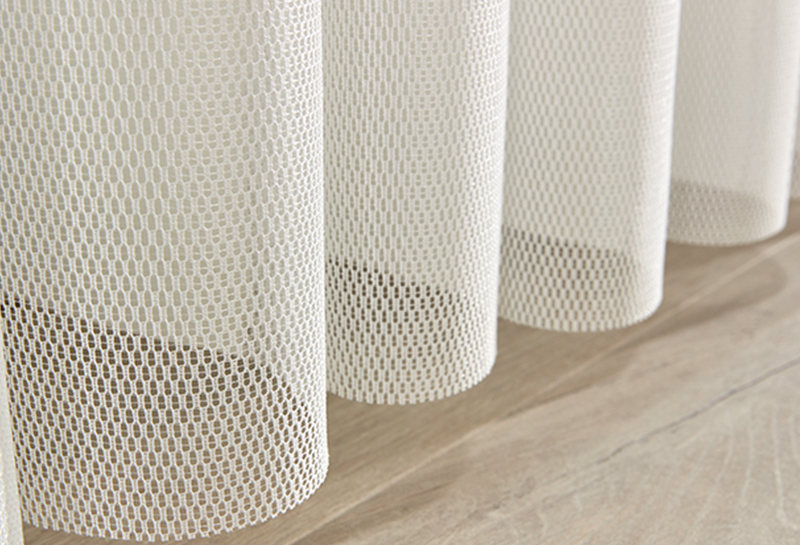 The Allusion blind creates an instant impact in any home, with its patented weave it offers the ultimate in shading flexibility and privacy along with a fresh modern look. It combines the delicacy of the voile fabric with the versatility of rotating vertical slats offering a number of light and privacy options. The design allows you the freedom of opening the vanes to enjoy the outside view or close them for a seamless voile look blind to provide privacy, while all at the same time giving you the ability to just walk through.